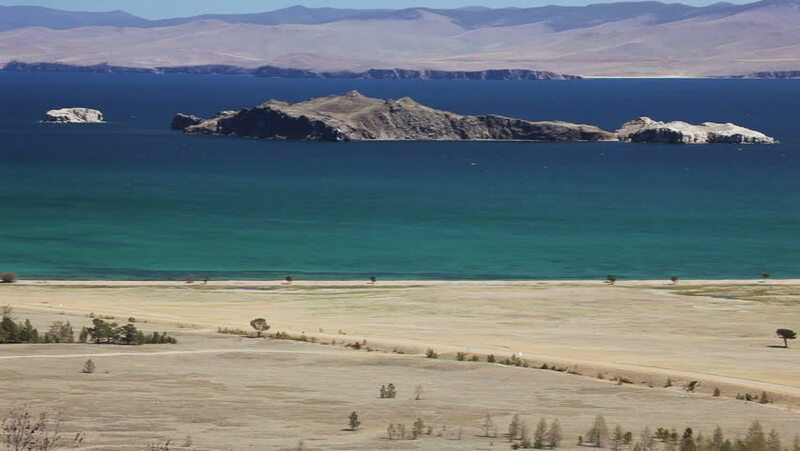 panoramic view of islands of lake Baikal. Small sea, island Olkhon. Shoting from high point of view. Moving camera.